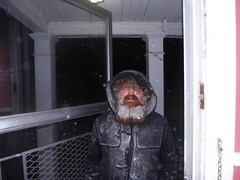 james walked home from the train in the blizzard. 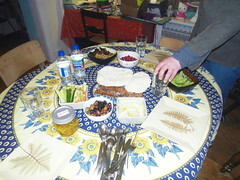 hummus, pita, grilled eggplant, falafal, olives, pomegranate seeds, veggies+salad. 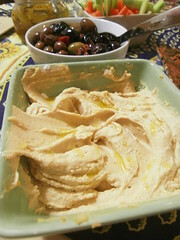 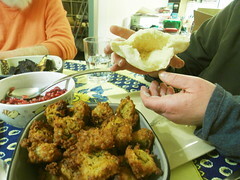 homemade hummus, pita, and falafal made with daring cooks recipes.